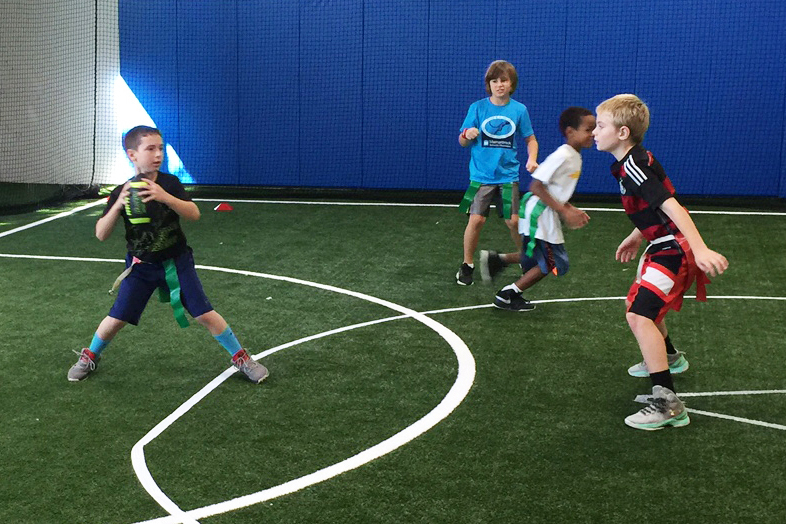 Flag Football Instructional Scrimmages allows players to go through a series of drills for both offense and defense, including quarterback, wide receiver, defensive back, and linebacker positions. 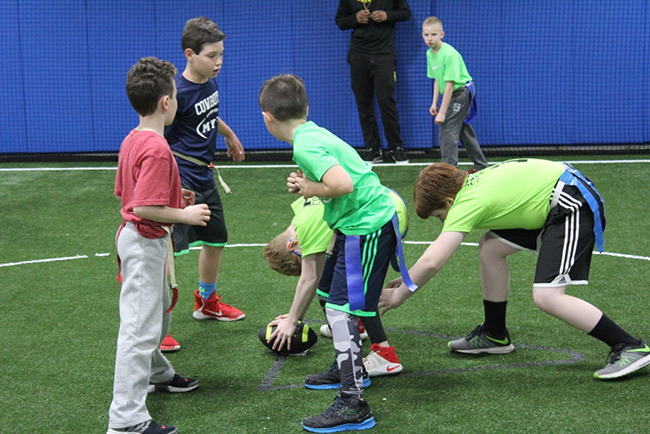 Kids will spend the first half of each class learning and working on fundamental skills associated with the game of football (non-contact) in a safe and fun environment including receiving, passing, defending and route running. Scrimmage games will be played during the second half of each class, helping to reinforce what was learned during instruction.